Lord, may I be like the Wise Men who were guided to you by the Star of Bethlehem. Give me the wisdom to seek you, a light to guide me to you, the courage and persistence to search until I find you, the graciousness to worship you and the generosity to lay my gift before you, who is my King and my God for ever and ever. The way to Christmas lies through an ancient gate. . . . It is a little gate, child-high, child-wide, and there is a password: "Peace on earth to men of good will." May you, this Christmas, become as a little child again and enter into His kingdom. 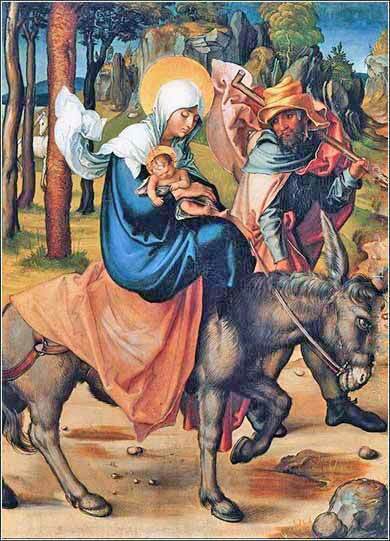 Now when they [the three Magi] had departed, behold, an angel of the Lord appeared to Joseph in a dream, saying, "Arise, take the young Child and His mother, flee to Egypt, and stay there until I bring you word; for Herod will seek the young Child to destroy Him." When he arose, he took the young Child and His mother by night and departed for Egypt, and was there until the death of Herod, that it might be fulfilled which was spoken by the Lord through the prophet, saying, "Out of Egypt I called My Son." The Herod depicted in this passage is Herod the Great. His father was an Edomite - a “semi-Jewish” race that had special status under the law of Moses. Edom included the large area extending south from the Dead Sea to the Gulf of Aqaba, bordering Egypt. (Today, ancient Edom is known as Idumea; it has become a generally barren land and geographically is part of southern Israel, southern Jordan, and eastern Egypt.) King David conquered Edom, and the people (by choice or force) had adopted Judaism by the time of Christ. Herod's mother was a full-blooded Hebrew, so although he was Jewish in a sense, he was never really accepted by the people of Israel as legitimate. Not to mention, he was not of the lineage of David. Herod the Great lived from 73 BC to 4 BC; at the time of Christ's birth, he had been established by the Romans as a great king, ruling as a Roman "client" king over Idumea (Edom), Judea, Samaria and Galilee. He was ruthless in defense of his power and notorious for his brutality. He slayed his own sons, to prevent one of them from trying to usurp his throne. According to the Roman historian Macrobius, when Caesar Augustus heard that all children under the age of two in “Syria” had been slain, he said, "it would be better to be Herod's pig than his son". 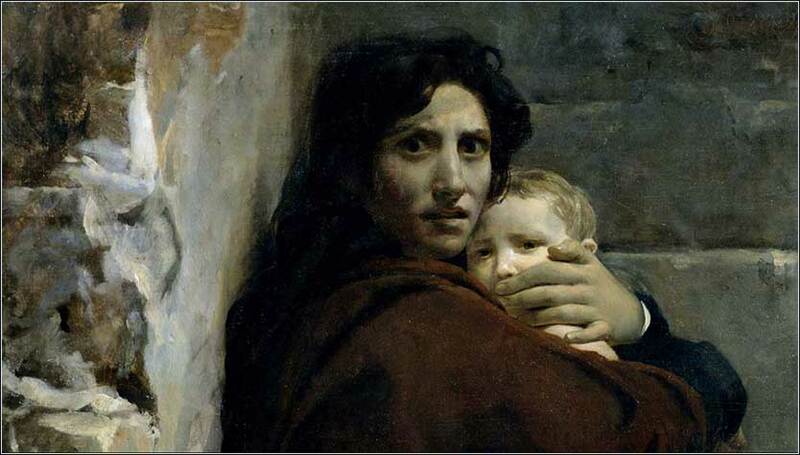 Some Christian commentators, over the centuries, have estimated the number of children murdered to have been in the tens of thousands, but a more realistic view is that probably 10 to 50 infant males were slaughtered, at least in the incident related by Matthew. Macrobius, for instance, might have been talking about another slaughter of children.